In Chapter 4, we discussed the many contentions around the ability of intersectionality (as a theory) to travel beyond the context from where it originated. We specifically elaborated on this issue of transferability to underscore the theoretical and empirical challenges that emerged from the global south. In so doing, we drew attention to the different perspectives (e.g. transnational feminism and Caribbean feminism) that questioned the extent to which Eurocentric theorizations addressed the specific realities and complexities around the lives of women within these contexts. Taking these into consideration, we use intersectionality theory to interrogate the nature and significance of these differences, and perhaps similarities, across contexts. 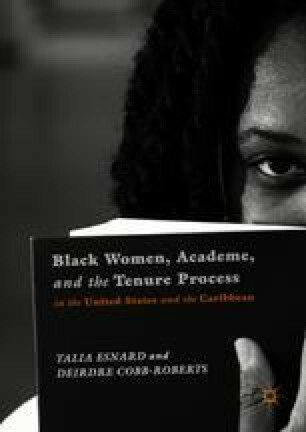 By engaging in this type of comparative intersectional analysis, two Black women, one Afro-Caribbean, and the other African American, are able to use their authentic voices to narrate their nuanced experiences in the academy as opposed to a story being told about them through a filtered lens.